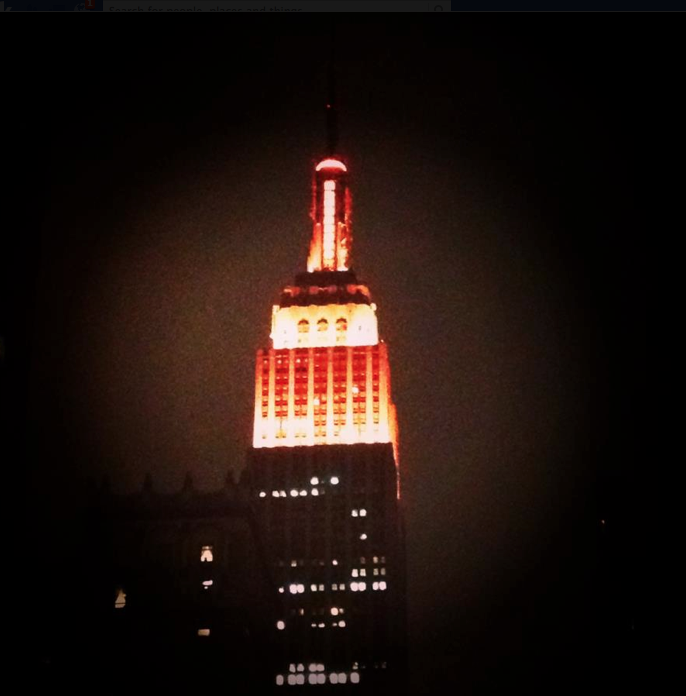 Last night, Saturday Night Live’s Seth Meyers lit the Empire State Building up in orange, in honor of Cycle for Survival. The event has raised almost $31 million dollars for rare cancer research since it’s inception in 2007. The charity has funded 53 clinical trials through Memorial Sloan-Kettering Cancer Center in New York City. One hundred percent of all money donated is funneled into life saving research within 9 months. Cycle for Survival’s founder, Jennifer Goodman-Linn, and her husband Dave, created the event as a way for Jen to give something back to the community that supported her on her 7 year battle with a rare form of sarcoma. An avid cyclist and marketing executive, Jen found a way to merge her passions to help others. She touched the lives of many, both personally, and through her blog, YOU FEARLESS, which documented her life with the disease. Her optimism shone as brightly as the building which is lit in her honor. Sadly, she lost her fight in 2010. Tomorrow, my team will be joined by 13,000 others as we ride to help keep Jen’s legacy and indomitable spirit alive, by supporting this amazing organization. This entry was posted on March 2, 2013 at 1:13 pm and is filed under fitness. You can follow any responses to this entry through the RSS 2.0 feed. You can leave a response, or trackback from your own site.